When I was young I remember being a massive fan of the TV series MacGyver. An action adventure mega star, Macgyver hated guns, carried a pocket knife, and could get out of almost any situation with a pocketful of junk and some household items. Danger followed him wherever he went, and he always won the day. 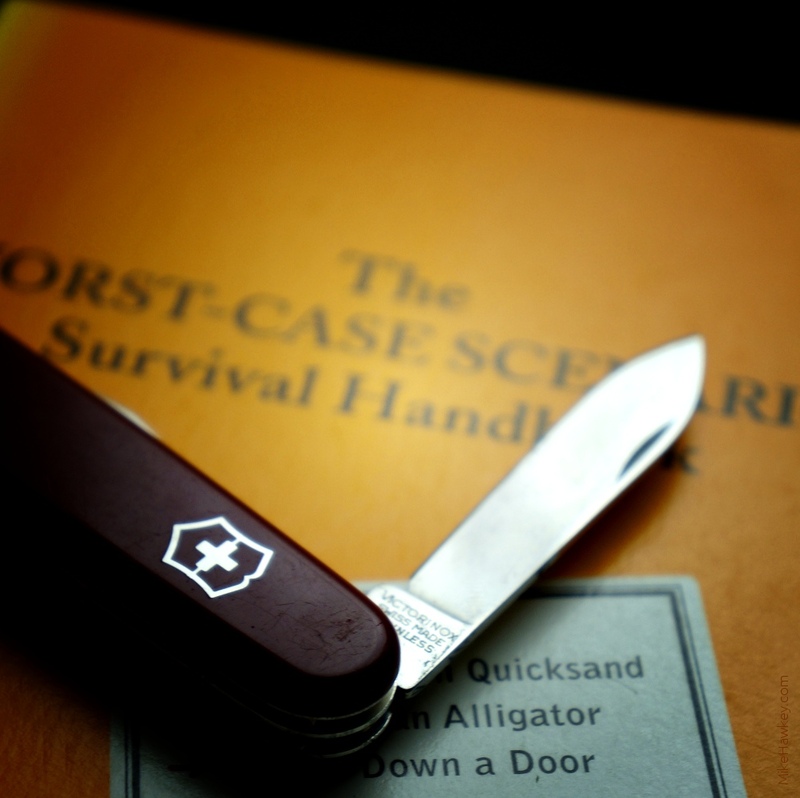 I remember getting my first Victorinox Swiss Army Knife, a ‘Tinker’. I would make various things out of foam, cut bits and pieces, and unscrew all my toys. It was great fun. I think amongst a very hands on creative family, Macgyver was also somewhat of an influence as I grew up, always tinkering and fixing things. It great to be able to fix something on the go, with a limited set of tools. Missing the sun after work, and pulling my pocket knife out of my bag, looking for an image, I reflected on my practical side and composed today image.I really need to get some better portable lighting at home some time – I had to hold the knife and book up to the room light in one hand and take with the other. In post processing, I used Gimp to add a vignette and push up the saturation.